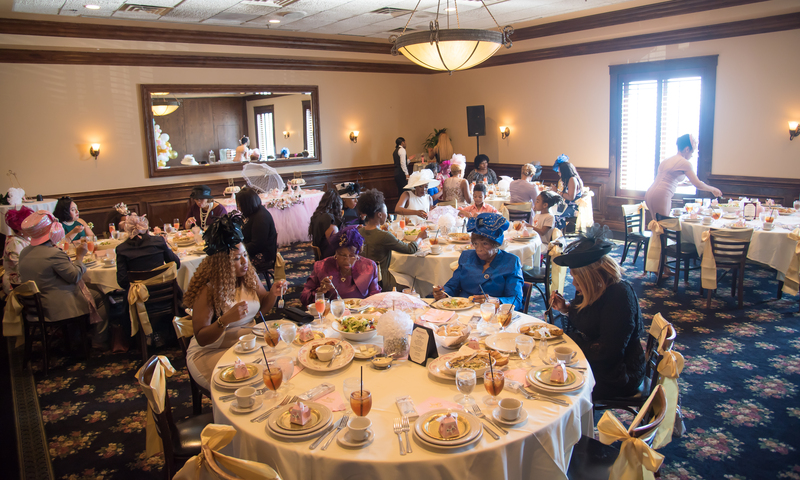 Oh yes, it was a bridal tea for the history books. It was definitely one to remember and a challenge to imitate for years to come! Maggiano’s Italian Restaurant at Post Oak Blvd. 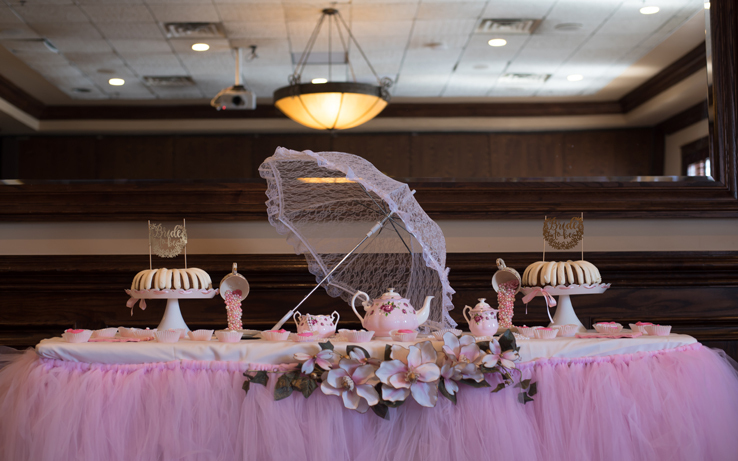 was the setting recently for the bridal shower given for Miss Amber Henley by her parents Al and Demetra Coleman of Cypress, Texas. Amber became engaged to Wynton Gibson last year. He proposed to her in front of their parents at Brio Tuscan Grille at City Centre last December. 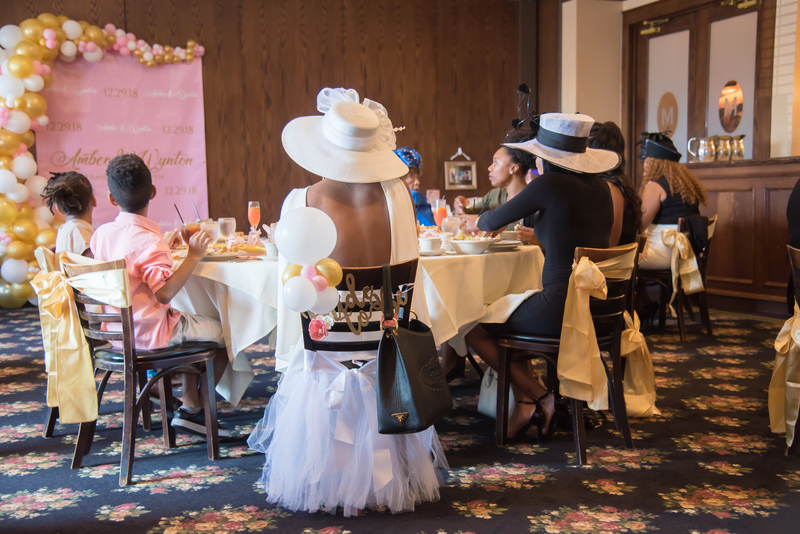 Themed “It’s A Bridal Tea Party,” her parents spared no expenses. 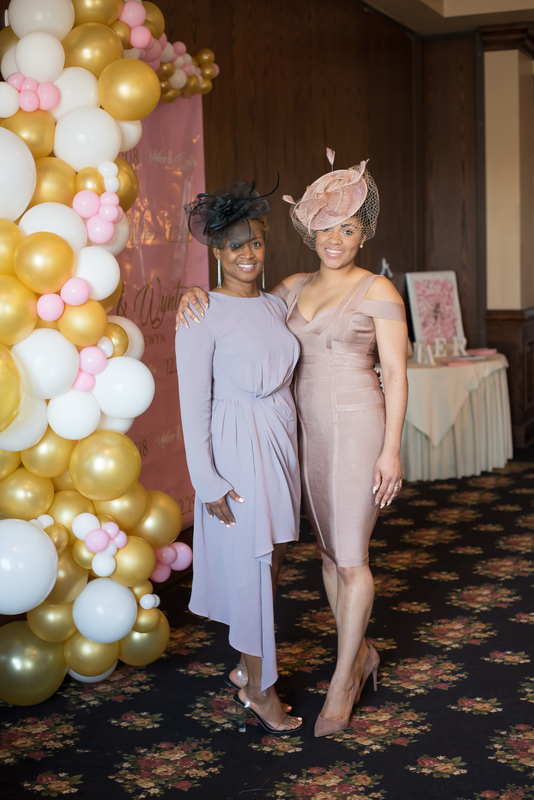 The lavish bridal tea party was a 100-seat, white table cloth event, complete with appetizers and a 3-course luncheon menu. 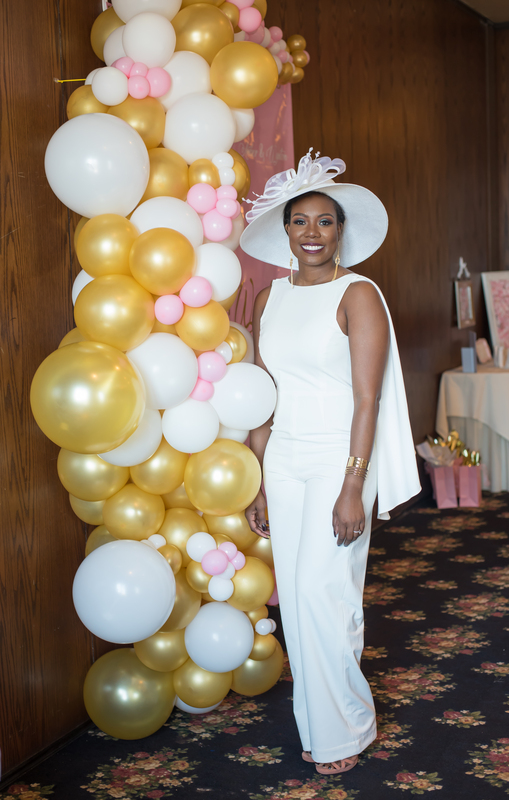 The bride was striking in a white jumpsuit ensemble with a deep cutout back design and a fabulous matching hat to accent her beautiful flawless skin. 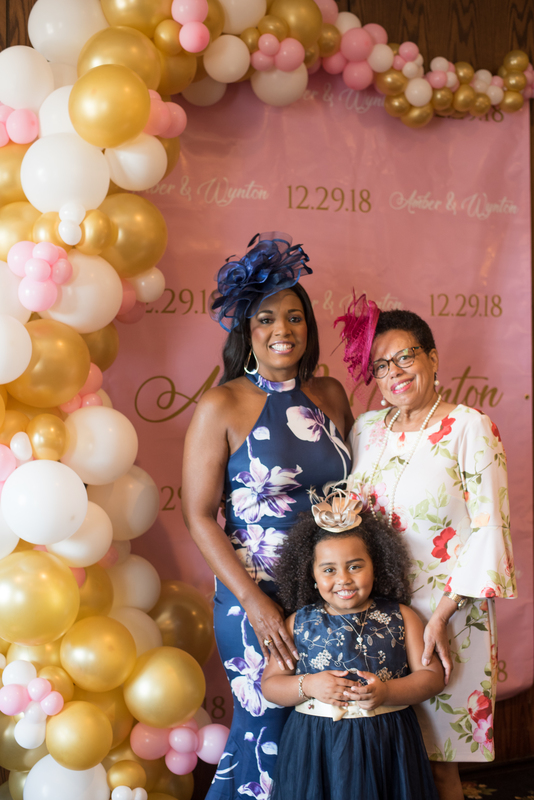 Amber is the oldest granddaughter of Billie Louise Odum of Dallas, TX. 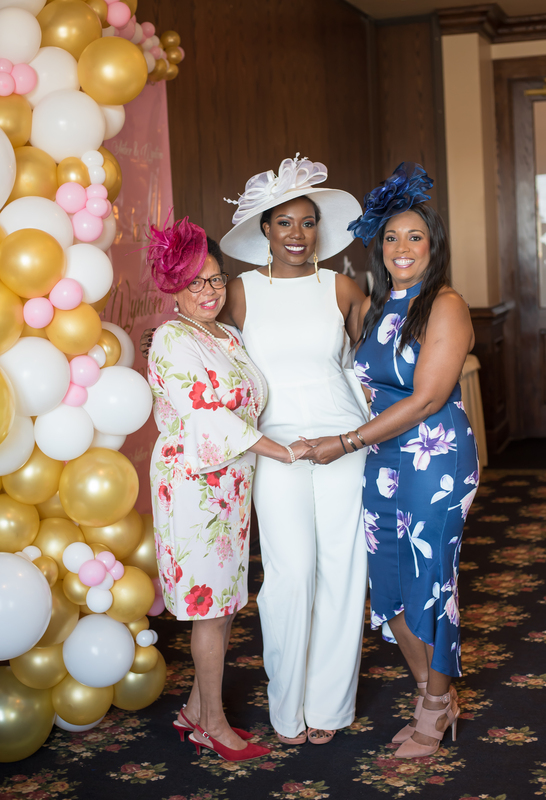 Guests all donned beautiful tea party attire, hats and all! The ladies munched on appetizers like Spinach and Artichoke al Forno and Jumbo Lump Crab Cakes. The servers then brought out Chicken and Spinach Manicotti, Mom’s Lasagna and Chicken Marsala. The third round of yummies included fresh fruit plates and New York Style Cheesecake. Those dishes accompanied by assorted beverages and breads truly made the strictest dieter toss diet notions aside. 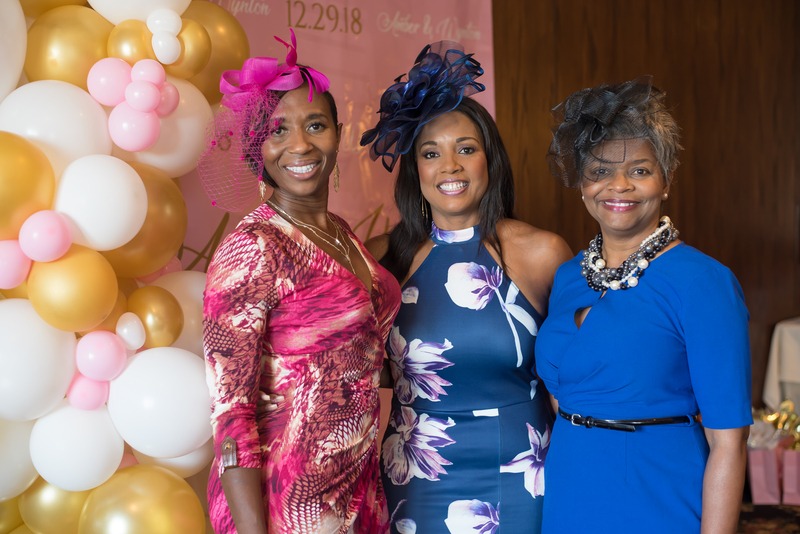 Guests included the bride’s grandmother, Billie Louise Odum of Dallas, TX, her great Aunt Delores Vaughn of Dallas, TX, Aunt of the Bride, Denita Odum of Dallas, Mother of the Groom, Jackie Gibson, Little Elizabeth Gibson, groom’s niece and a host of relatives and friends of Amber. 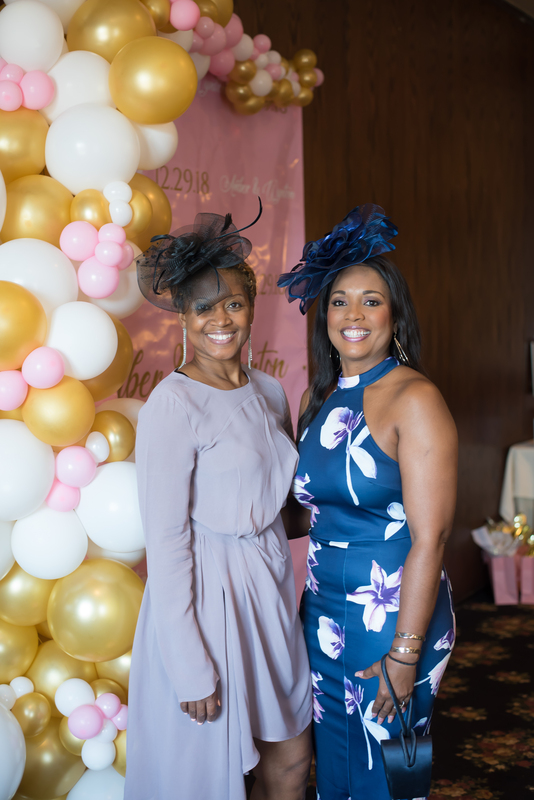 Lauren Manning of Dallas, Brittany Freeman and Demetra Coleman served as Hostesses of this spectacular event.